Nothing is more refreshing than a fruity drink on a warm day. 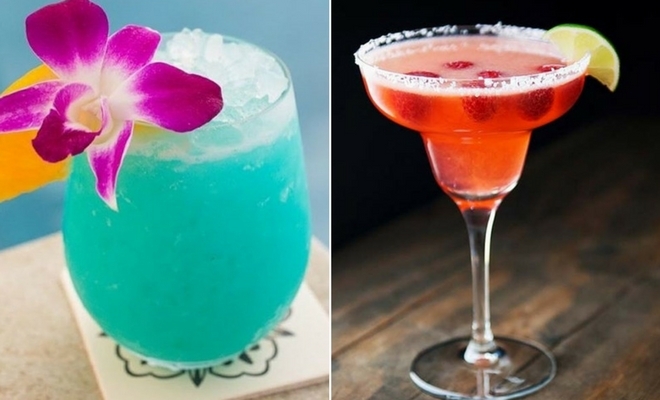 So, mix cocktails and impress your guests with these summer recipes. You can make cocktails for any occasion and these would be perfect for garden parties, girl’s nights and more. Each one can be made at home and will suit any taste. We have a drink for everyone from something tropical to cocktails with a kick. Our first cocktail is the Clover Club. 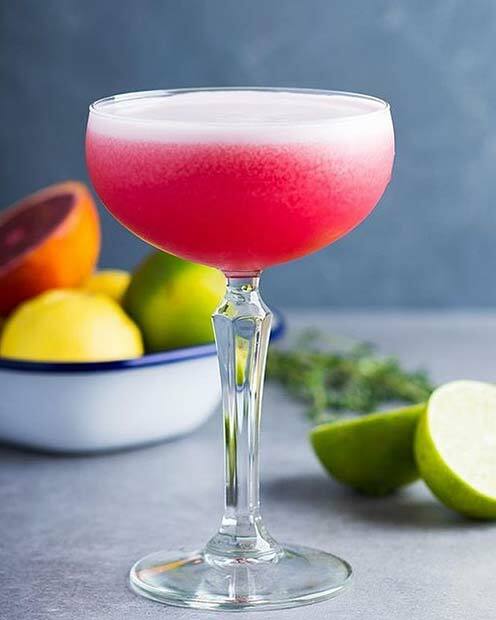 This tasty cocktail is made with 50 ml of gin, 15 ml of fresh lime juice, 15 ml of raspberry syrup, 1 egg white and ice. It is a tasty drink that your girls will love. If you’re making a Clover Club for a party serve in a pretty glass like this. Create a cocktail with fizz with this prosecco creation. 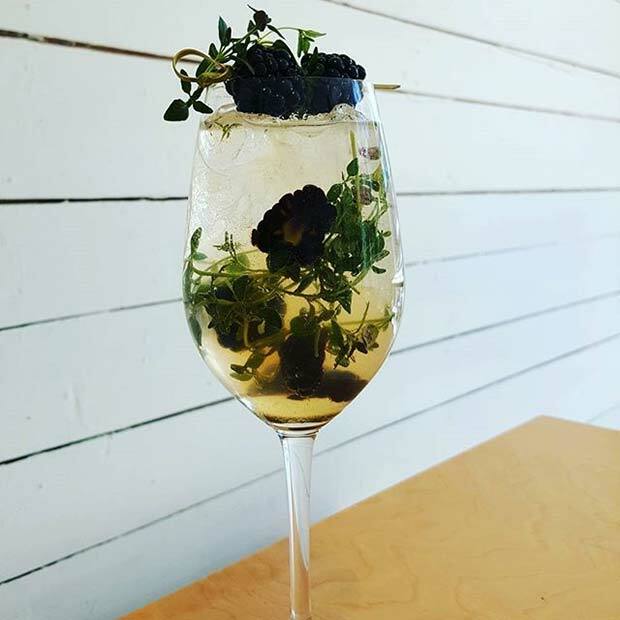 This fresh sparkling drink is made with agave syrup, gin, apple juice, lime juice, thyme and blackberries. Finish off with prosecco on top. Something like this looks fancy and complicated but is actually easy to make. It will wow any guest. Looking for a drink with a kick? 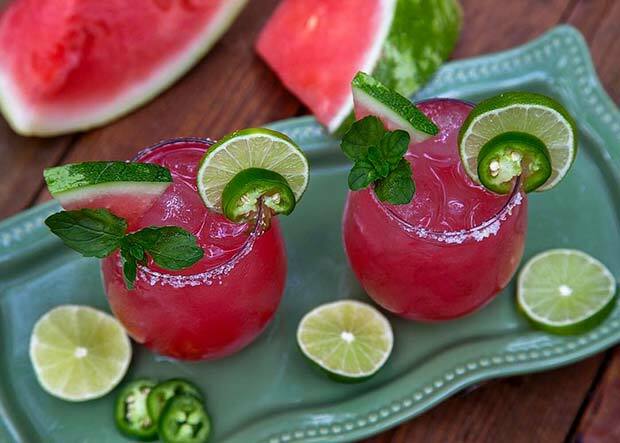 Then this Jalapeño Watermelon Margarita is for you! To make this cocktail you will need: 8-10 cups of watermelon chunks, ¾ cup of tequila, ½ cup of lime juice, ¼ cup of orange liqueur, ¼ cup of simple syrup and 1 sliced jalapeño. You can use lime juice, salt and chili powder for the rims of the glasses. This is a sweet cocktail that will spice up your summer. A way to jazz up your cocktails is with garnishes. You can use a variety of fruits and edible flowers to give any drink an extra special touch. 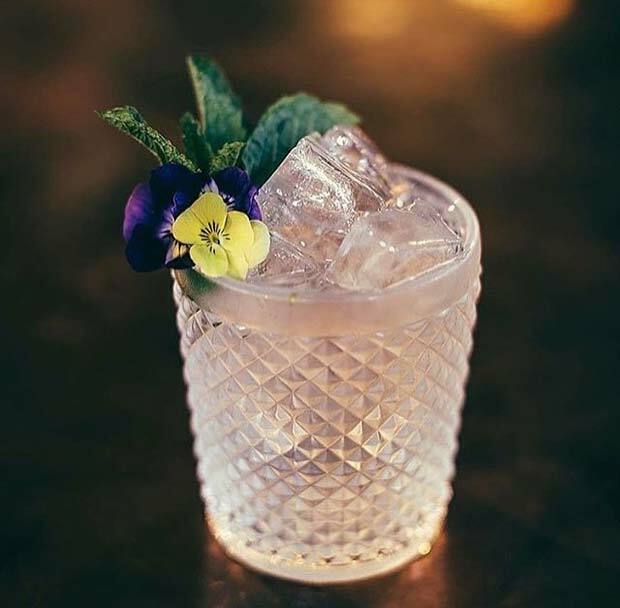 This creation is the perfect inspiration, it features a light drink with delicate purple and yellow flowers. Any cocktail would look amazing in a glass with a garnish like this. 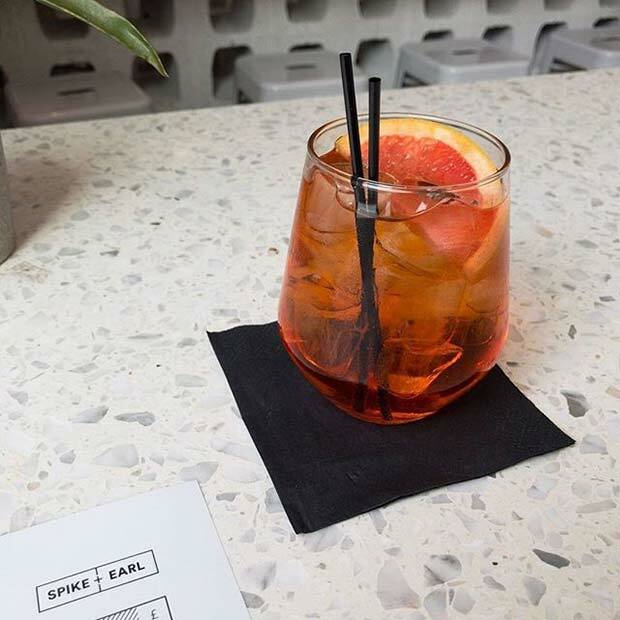 Give you party a taste of Italy with an Aperol Spritz. This Italian cocktail is simple to make and is refreshing and fruity, perfect for a summers day. All you need is 3 parts prosecco, 2 parts Aperol and 1 part soda water. Finish off with a slice of orange. Nothing says summer like fresh watermelon. There are so many recipes that you can create with watermelon. A few are mojitos, margaritas and mimosas. 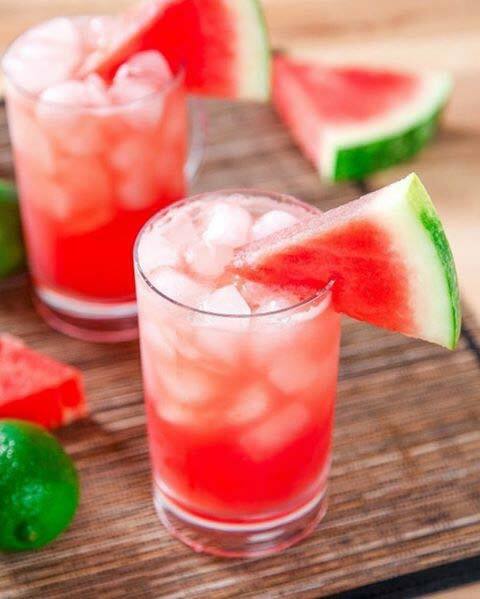 A great way to finish off any of your drinks is with a watermelon slice like this. Not only will it look great but it will taste it to. Want something tropical? Then you need a Blue Hawaiian. 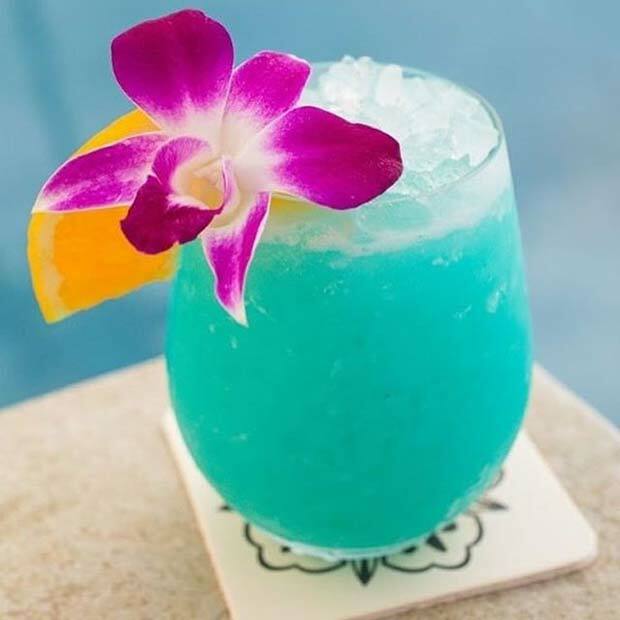 This beautiful blue cocktail is made with: 1 cup of pineapple juice, ½ cup of blue curacao, ½ cup of rum, ½ cup of cream of coconut and 4 cups of ice. Use pineapple slices and maraschino cherries to garnish. A drink like this will make you feel like you’re on an exotic getaway. If you’re creating cocktails for a party or special occasion, then consider adding sparklers. These will give your drink the wow factor. 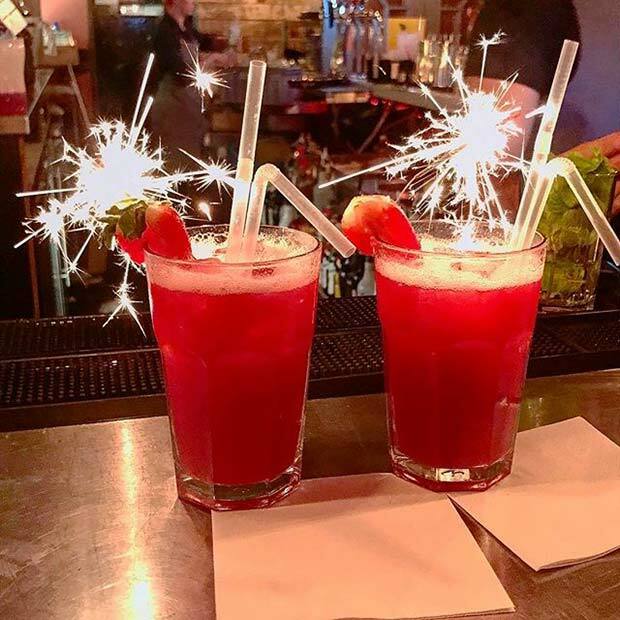 You can put a sparkler in any cocktail, the drinks featured are Strawberry Woo Woos. Strawberry Woo Woos are easy to make, there are plenty of recipes available online. Next up we have a light and refreshing drink that is perfect for the summer. 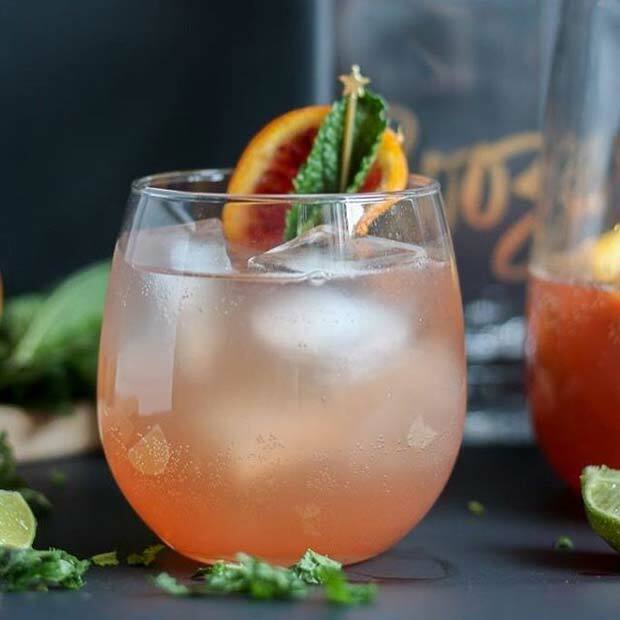 This Citrus Rosè Sangria is made with: navel oranges, 2 blood oranges, 2 lemons, 2 limes, 1/4 cup of mint simple syrup, 1/2 cup of pineapple juice, 1/3 cup of vodka and 1 bottle rosé wine. You can check out the method online. You don’t just have to have one cocktail, why not have a few. 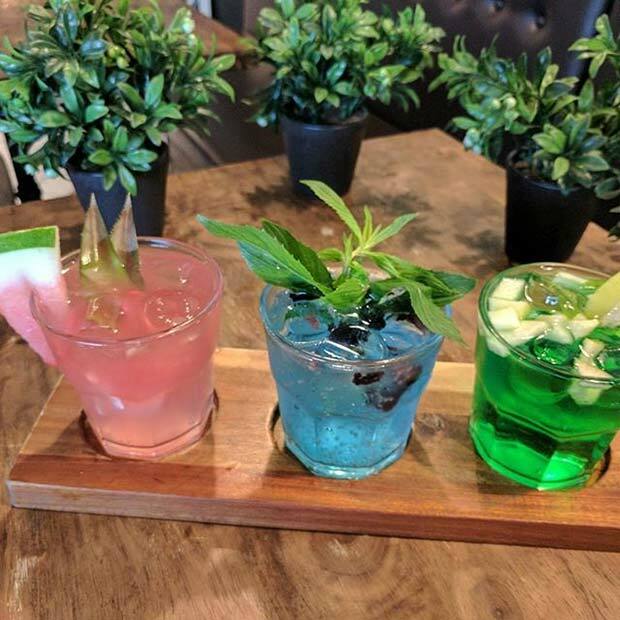 This tasty trio of cocktails has been presented on a trendy board. Something like this is perfect for a party or special occasion. You could create your own design with different colored and flavored drinks.